Contrast. The HD8300 has solid dynamic range and a black level that is aided by an automatic iris. Unfortunately, its dynamic range is not as good as some other projectors in its price range, and black level is likewise outmatched by some competitors. The end result is that contrast as a whole is somewhat lacking for the price. Now, if you're using the HD8300 in a room with some ambient light, contrast matters a lot less--the little bit of ambient light you have is affecting contrast more than you know, and you might not ever see the improvement from a higher-contrast projector in that situation. But for those who have pitch-black home cinema rooms dedicated to the theater experience, the slight differences are noticeable. Light output. 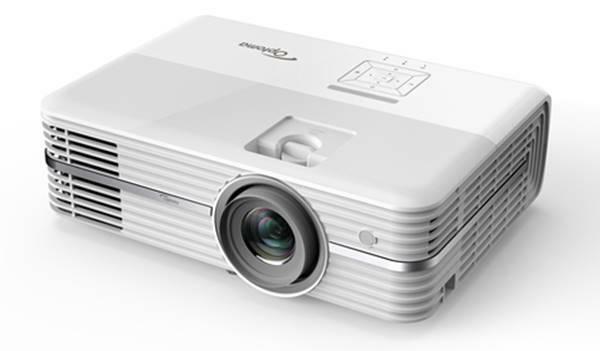 The HD8300 is a very bright projector, putting out almost 1,000 lumens in Cinema mode. However, it has two problems. For one, there's no way to curtail lumen output for smaller screens, and even the 761 lumens of Reference mode may be too bright for some. Secondly, the projector is rated at 1,500 lumens maximum. This means that the brightest precalibrated mode, Bright mode using the Native color temperature, still falls short by 20% of the specification. Those who need or want 800-1000 lumens will be delighted, while edge cases to either side are out of luck. Placement flexibility. The HD8300 has a 1.5:1 manual zoom/focus lens with manual horizontal and vertical lens shift. The 1.5:1 lens allows for some flexibility when mounting the projector. For example, if you are using a 120" diagonal 16:9 screen, you can mount the HD8300 anywhere between 13' and 19' 10" away from the screen. Unfortunately, as with any zoom lens, as you move towards the telephoto end of the lens you lose light output. In this case, the HD8300 loses 32% of its maximum light output at the telephoto end of the zoom. The progression is roughly linear across the lens' range; at halfway between wide and telephoto you'll lose 16%. This is higher than average for a 1.5:1 lens, where most similar lenses lose around 20%. As an example, Cinema mode at wide angle produces 832 lumens, while Cinema mode at telephoto produces 573. The HD8300 has lens shift, but the range is somewhat limited. Vertical shift allows for a total range of 1/3 of the image height, while horizontal shift allows for 1/3 of the image's width. If the projector is mounted level and perpendicular to the screen, the bottom edge of the image can appear anywhere between 11% below the centerline of the lens and 24% above it. In all instances, the bulk of the projected image is above the lens centerline. In this way, the lens shift allows for some fine-tuning once you have the projector mounted, but does not allow for the same kind of off-center placement that is possible on certain LCD projectors with more extensive shift ranges. Remote control. The HD8300 has two remote controls--one main remote for day to day use and one miniature, credit-card-style remote that can be attached to the back of the projector just over the connection panel. The main remote is well laid out, with intuitive button placement. However, the buttons themselves have icons rather than words on them, and the strong blue backlight makes it impossible to read any of them in the dark. Once you learn the layout, this becomes less of a concern. The second remote is meant to function in place of a hardwired control panel, since the HD8300 has none save for a single power on/off button. While this is an unlikely scenario, this means if you manage to lose both remotes, you'll be unable to adjust your projector.